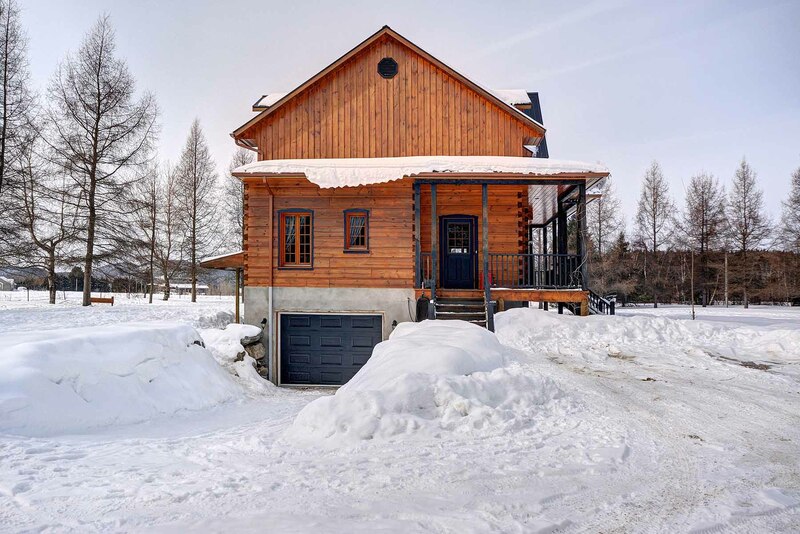 Le Meleze Cottage is discreetly settled in a country environement surrounded by conifer trees with open fields in the back yard. 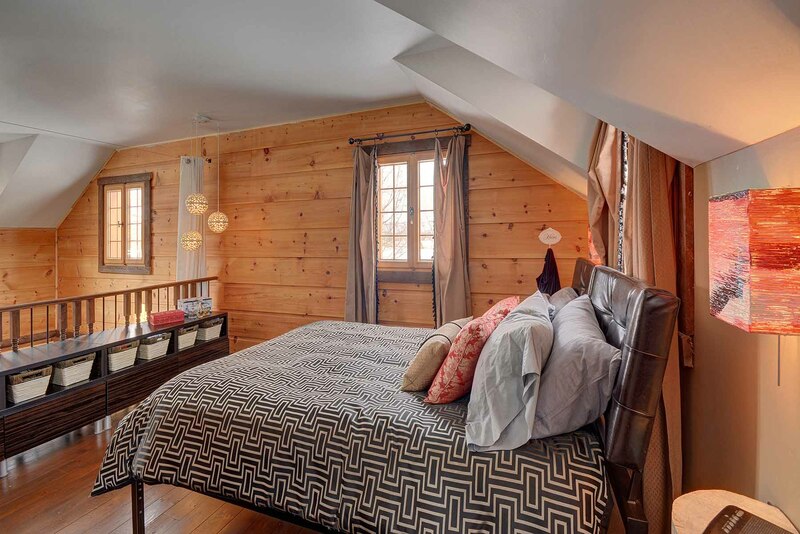 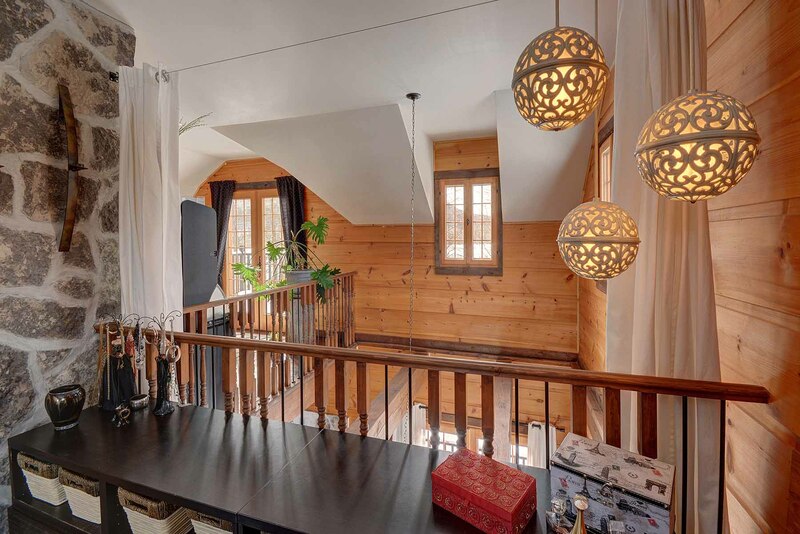 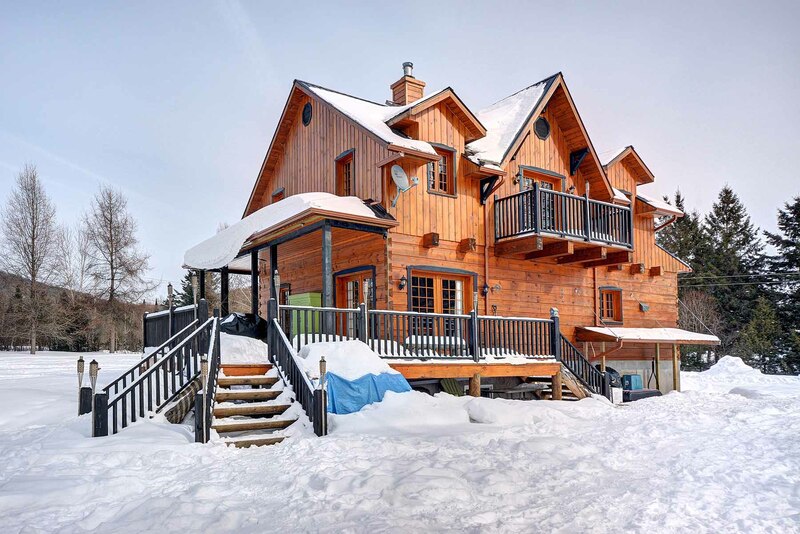 Ideally located this cottage is at the limit of Mont-Tremblant and La Conception, it is close to SKI Tremblant (10 mins from South side of Mountain). 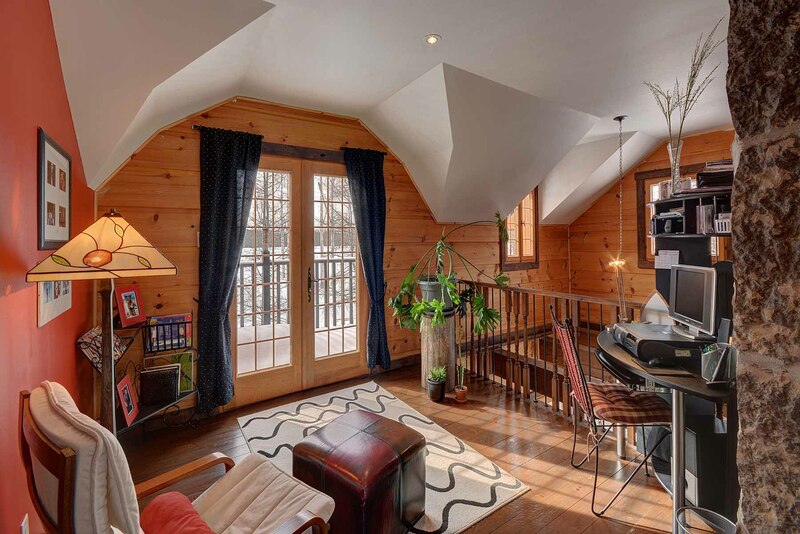 We are located near Lake Mercier, at minutes from the old Mont-Tremblant village, a few feet from Le Petit Train du Nord bike Trail, public beach at Lake Mercier or La Conception sandy public beach. 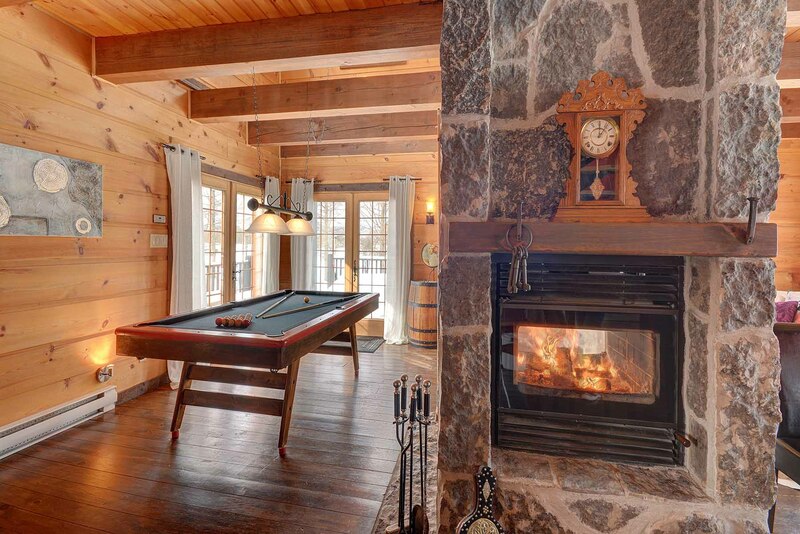 Mont-Tremblant golfs and all activities are within a short car drive from the house. 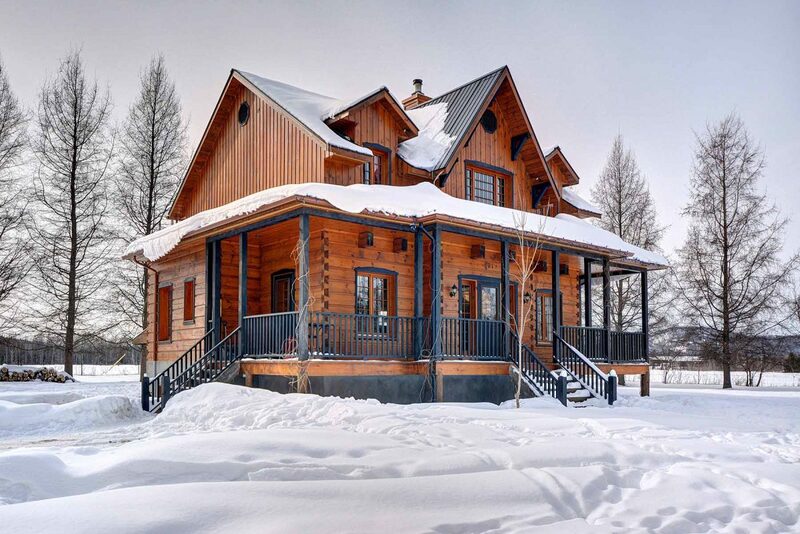 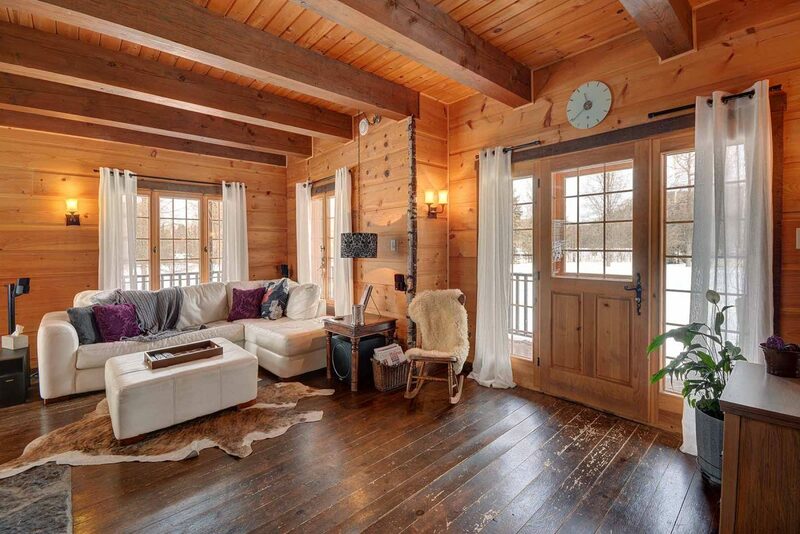 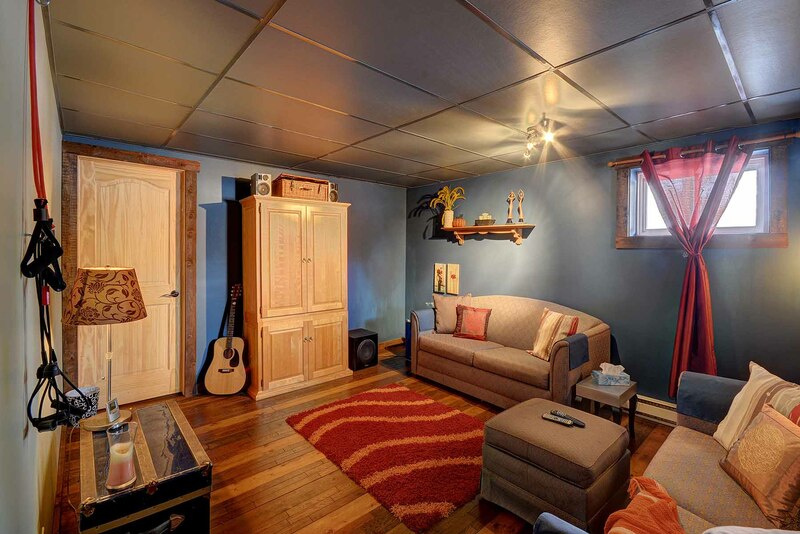 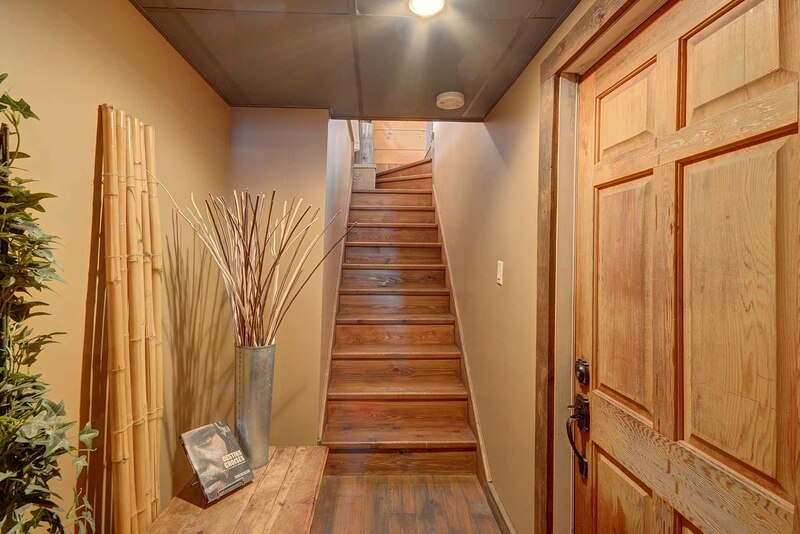 This property is a new construction made of square pine logs and all wooden floors adding warmth and charm to the home. 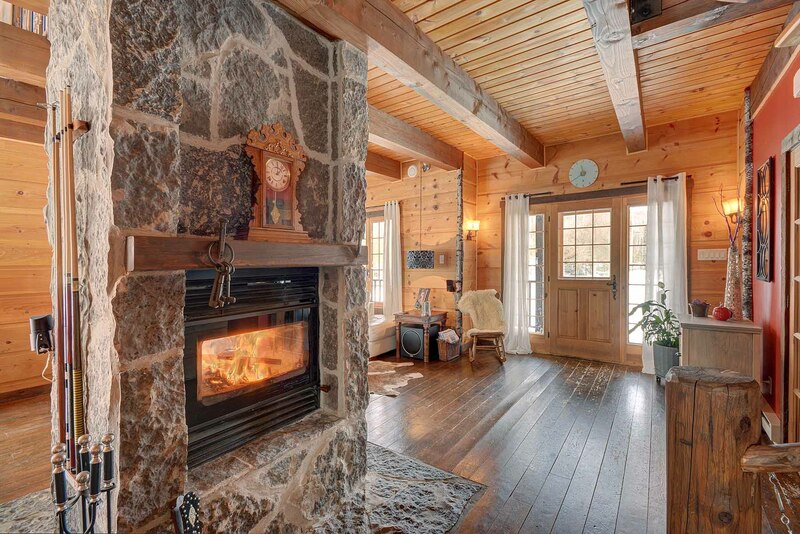 A high quality country home with a central massive stone wood fireplace – 2 faces. 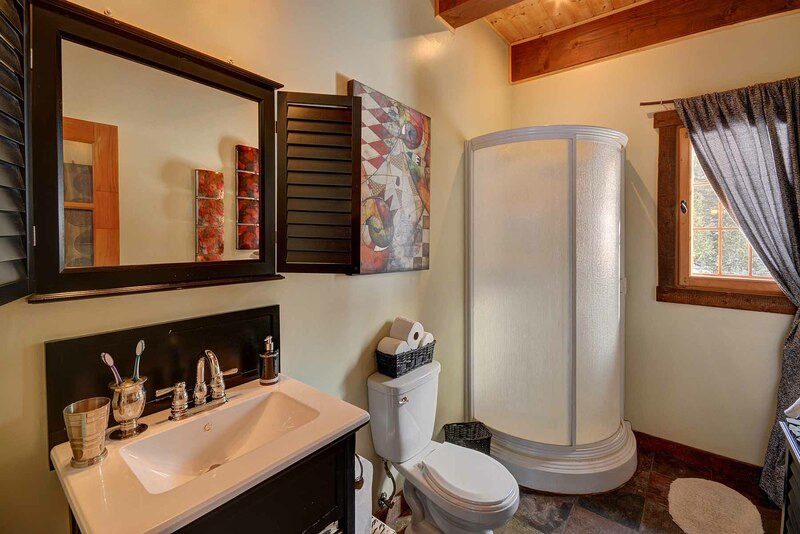 It is tastefully furnished and decorated adding a classy touch to the property. 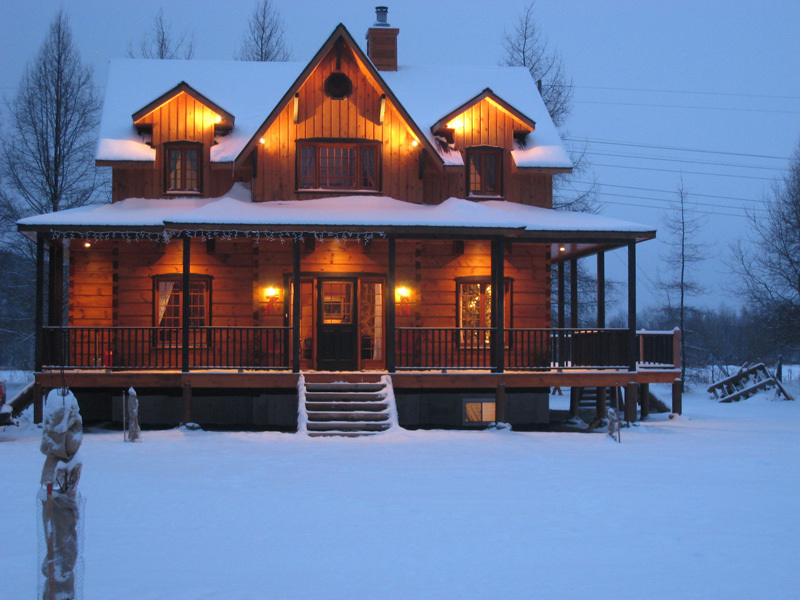 All quality linens, dishes, towells supplied and a fully equipped kitchen to accomodate 4 people. 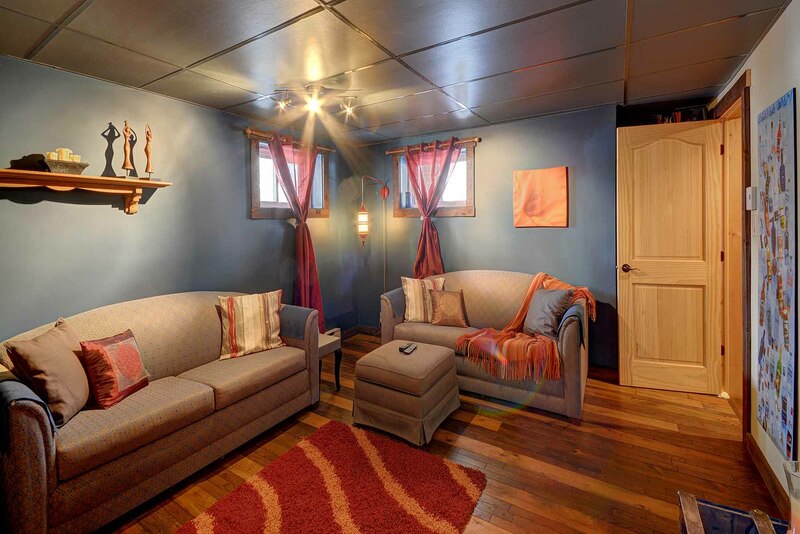 Well equipped kitchen; refrigerator, micro-wave, utensiles, dishes and table for 4 people. 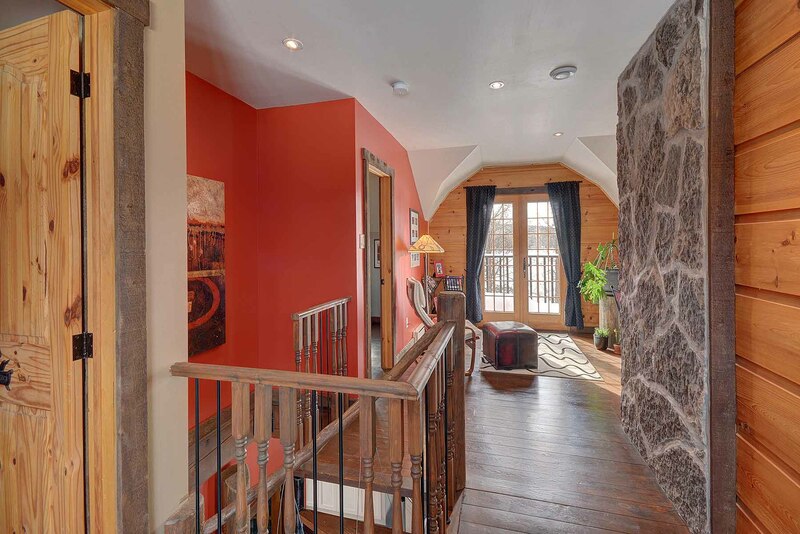 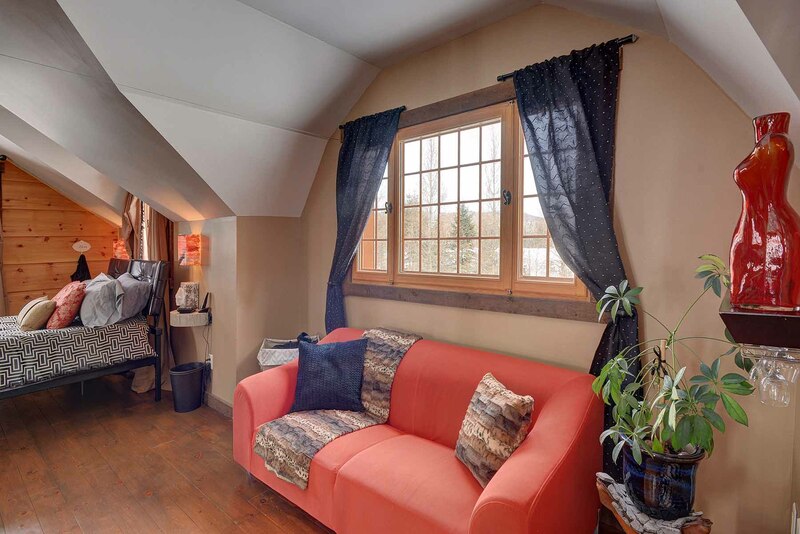 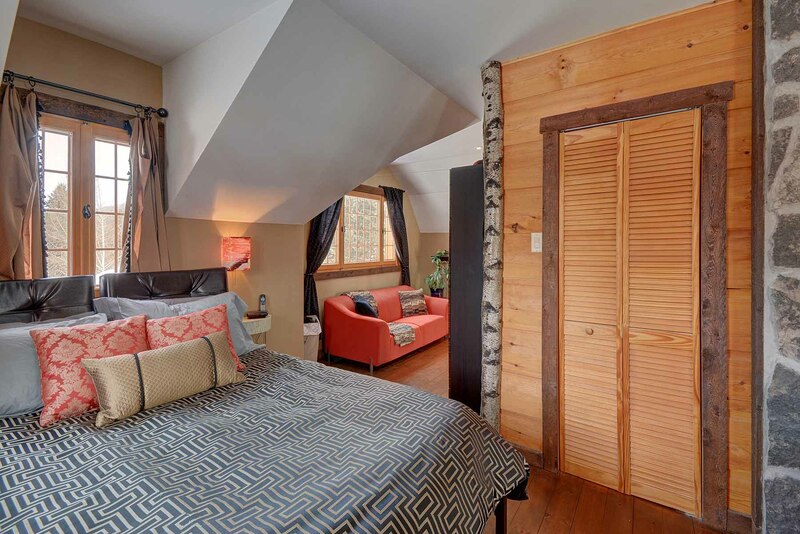 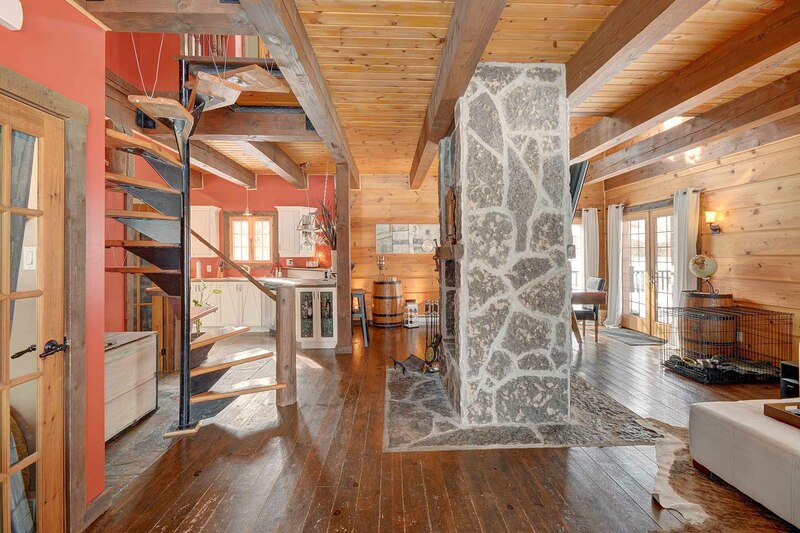 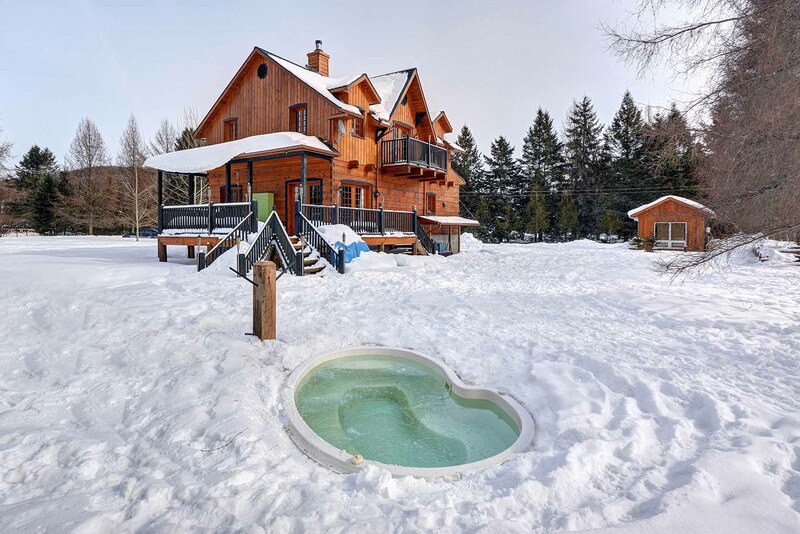 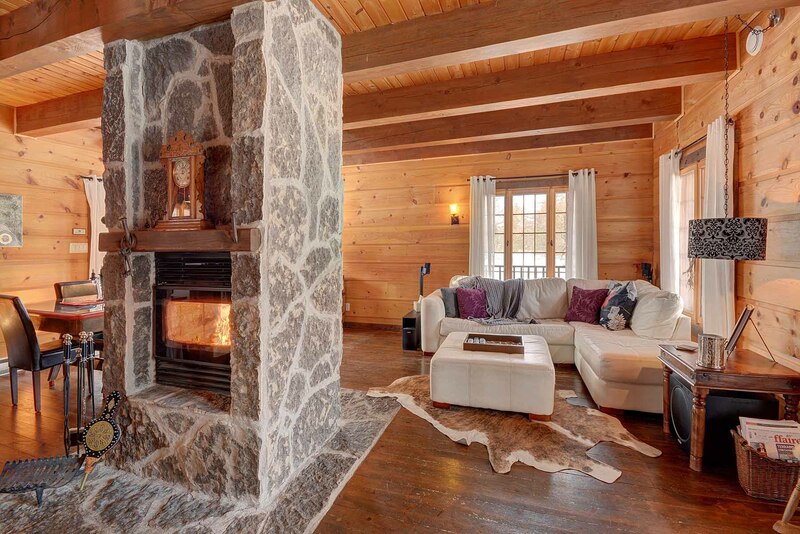 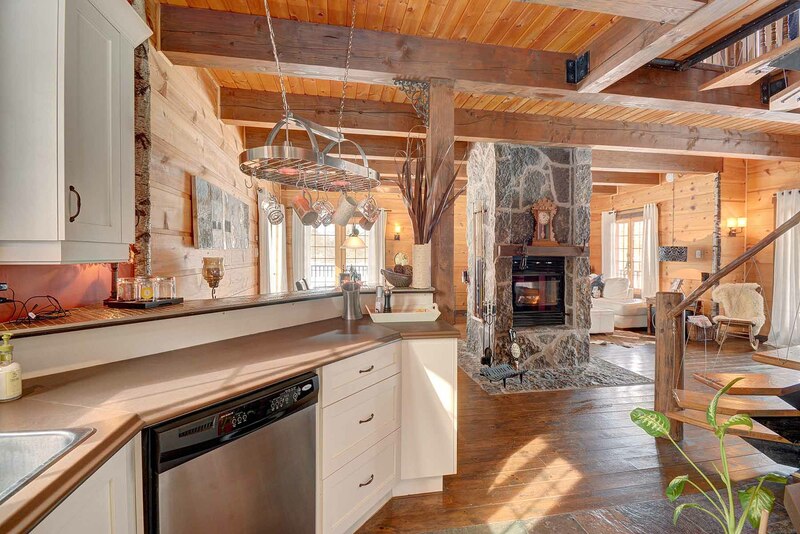 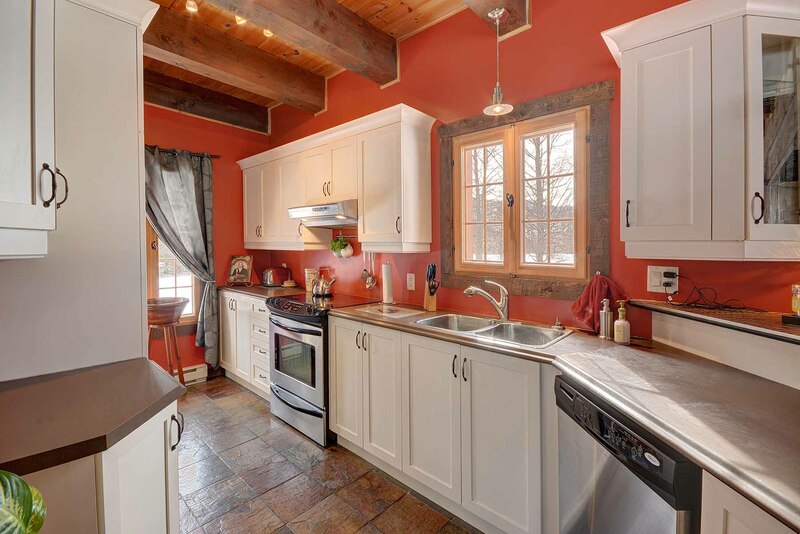 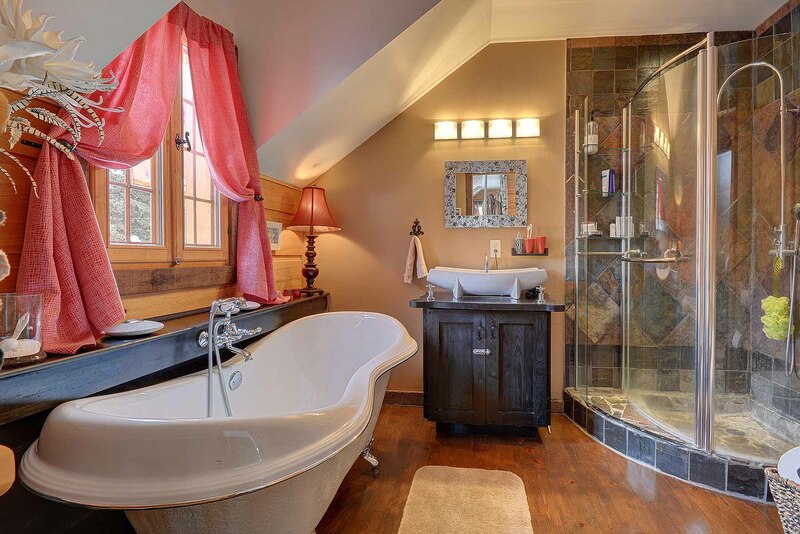 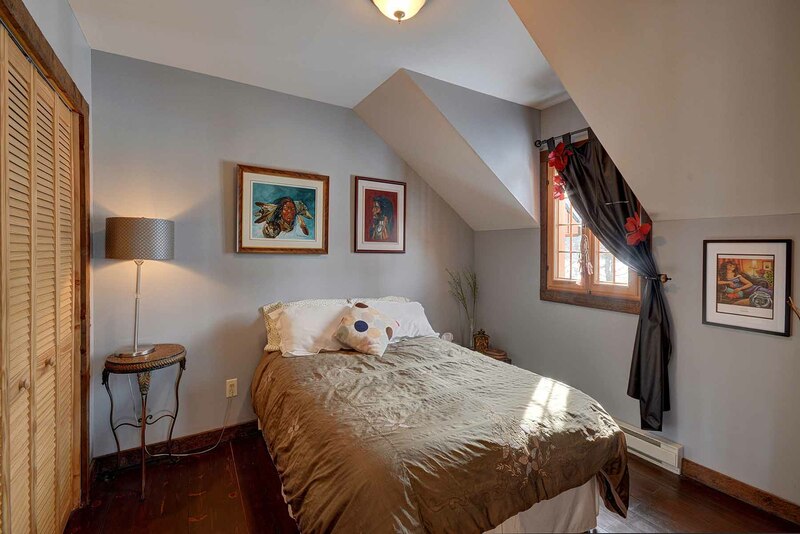 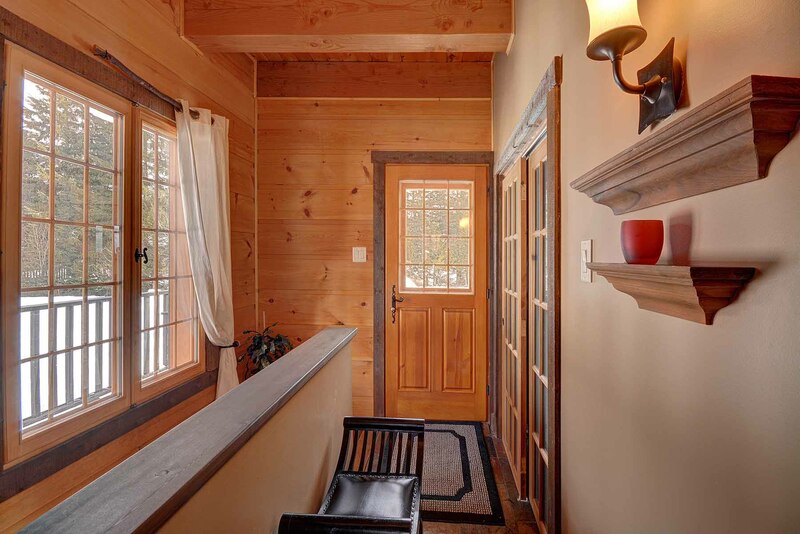 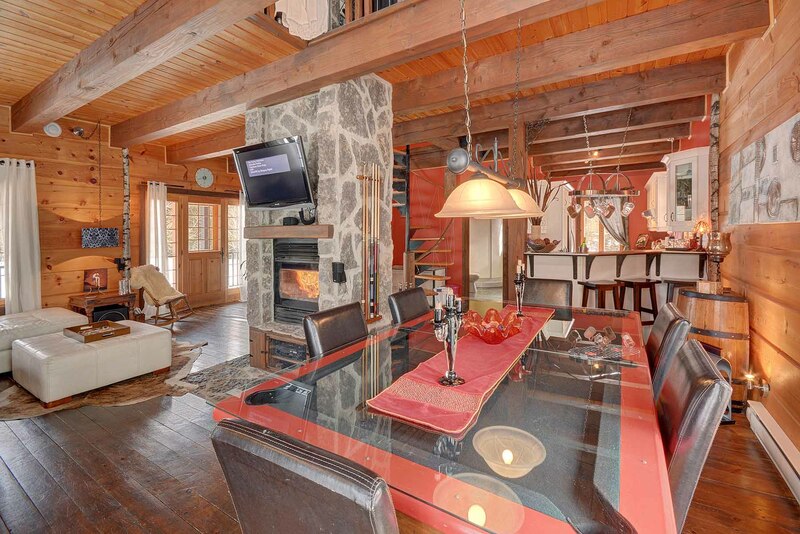 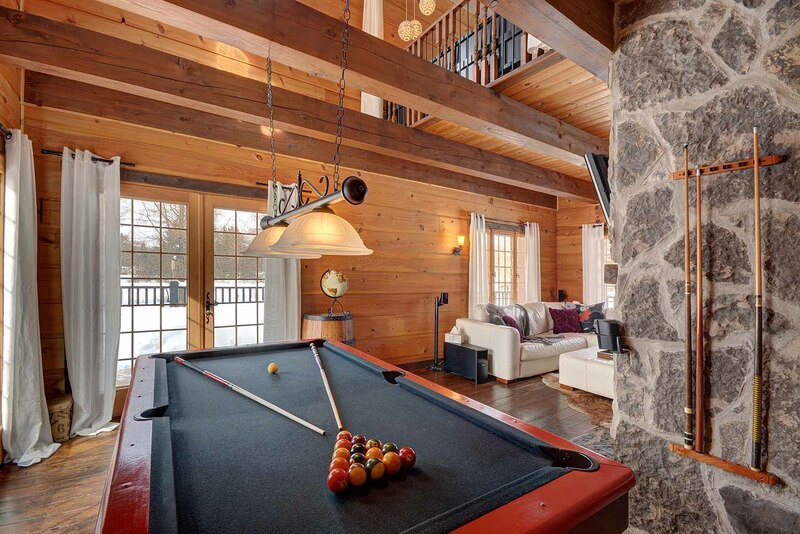 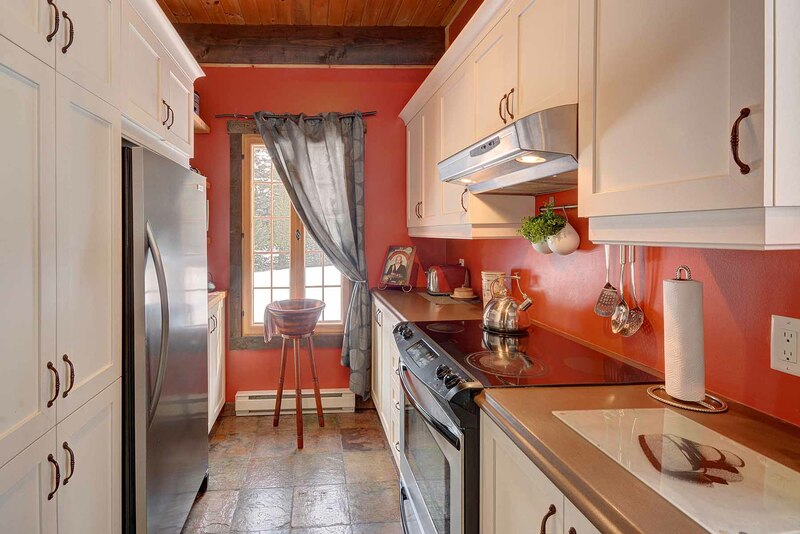 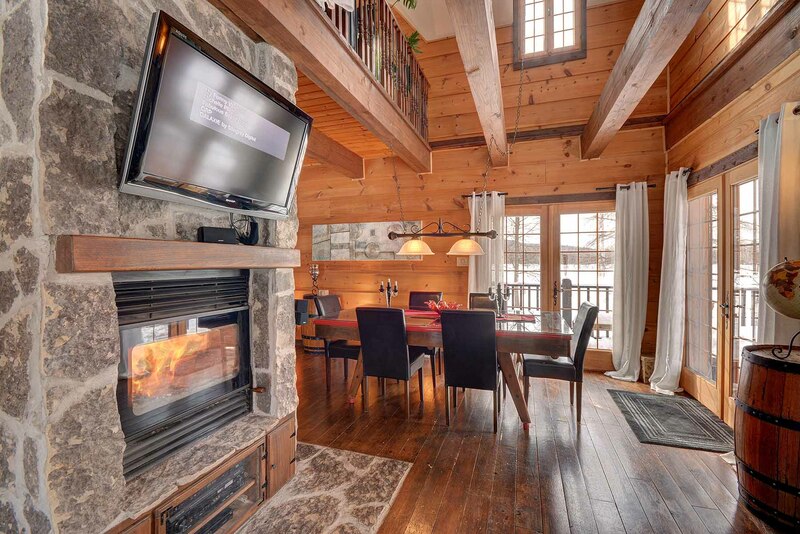 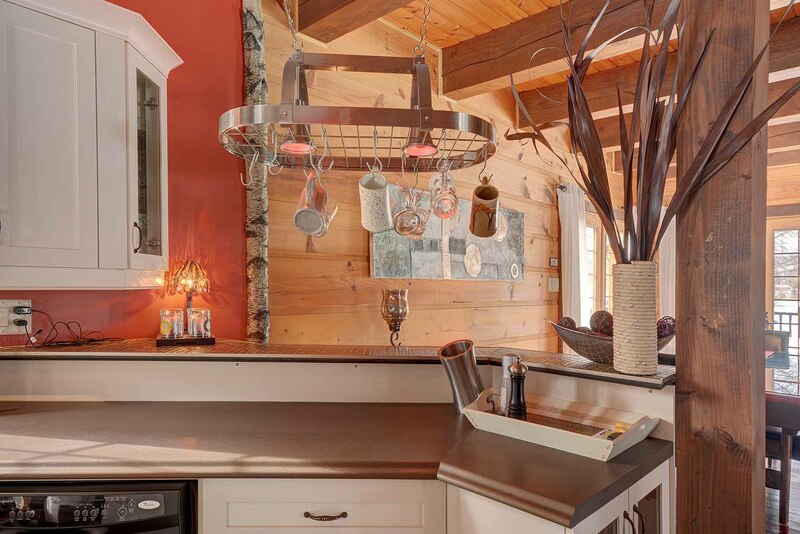 Situated at La Conception, this cottage is at 10 minutes from Tremblant resort, ski and golfs.